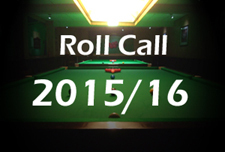 I am today pleased to say that as mentioned last month we have now launched our new site over at WPBSA.com. As regulars will know, my blogs have largely appeared over on the old WPBSA site for some six months now, although not quite as regular as I would have liked given the development of other initiatives in the background. The aim now however is to effectively resume full-time blogging duties over there (PSB section HERE), in addition to the other news and information that will be made available. 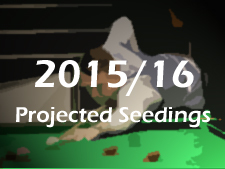 You may also notice that I have moved across all of the ranking and provisional ranking tables traditionally resident here at PSB and so going forwards you will be able to access the all-important latest provisional seedings list here. I would be grateful to receive any feedback on the site (see, it even has a working RSS feed, always popular with readers! ), with development an ongoing process with player profiles and an improved coaching section next on the horizon. This does of course mean that there will be no future blog posts here at PSB.com itself as the transition to the new site is completed (archive blogs will be carried over). Again, I would like to thank everybody who has visited the site since its creation in August 2008. If anyone would have told me back then that writing the blog would have ended with me working for the sport’s world governing body then I would never have believed them! And of course that would never have happened without the support of the online snooker community. I have recently received a few comments on the blog regarding the lack of new content following my announcement last year that I would be joining the WPBSA on a full-time basis. To clarify, my blog has since continued over at WPBSA.com here, with all of the ranking and tour structure blogs that I have worked on here at PSB since 2008. The updated provisional ranking lists on the other hand have continued to be posted here at PSB, pending the construction of a new WPBSA website. I am happy to say that the build of the new site is well underway and it is hoped that it will be ready to launch for the start of the new season, or certainly not long after that point. This site will contain all of the provisional list, points to defend tables and various ‘race’ lists that I have managed here, in addition to preview and round-up blogs around tournaments analysing the latest position and implications of results. More news will follow in due course, but for now keep an eye out for my blogs and much more snooker news at WPBSA.com ahead of the start of the 2016/17 season! 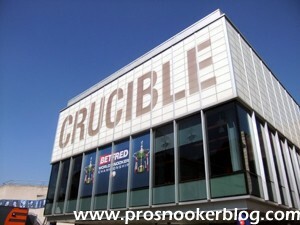 And so it is almost upon us – the start of the 2016 Betfred World Championship qualifiers next Wednesday which will determine who will join the 16 seeded players at the Crucible Theatre two weeks from now. Not only that, but the results will also determine who will stay on tour for next season, either as a top 64 player or via one of the other lists and also who will be forced to come through Q School if they are to retain professional status. 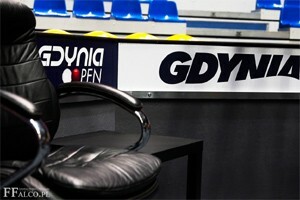 Although my blog has now largely moved over to WPBSA.com (watch this space for some exciting news on that front), this weekend I will be live blogging here at PSB throughout the professional stages of the crucial Gdynia Open. 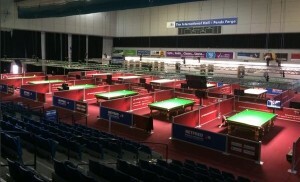 Regular readers will be well aware of the importance of this event, with tour places, Players Championship places and World Grand Prix spots up for grabs, but if you are not sure, click here to read my comprehensive preview and pre-tournament analysis of all the key battles at WPBSA.com. 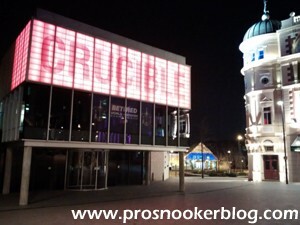 Little did I know back in August 2008 when I started Pro Snooker Blog that it would go on to be the start of something that would change my life, but over seven years on it is now no exaggeration to say that. With that in mind, today I have some important news for everyone who reads this site. 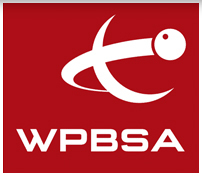 I am delighted to announce that I have been offered and have accepted a full-time position at the WPBSA. This does mean that there will be changes in respect of PSB, however you need not fear because I will still be working hard to provide the same service that I have during the past seven years and much more going forwards. While I very much see this as not the end, but rather a new beginning, I do want to take a moment to reflect on how snooker has changed since PSB launched and to thank some of the people who have helped me along the way. Next Tuesday will see the start of the UK Championship and as ever I will be on site to report on all of the action from snooker’s second biggest ranking event. As you may have noticed in recent days however, not all has been well here at PSB from a technical point of view and although the timing might not be the best, there will be an element of maintenance here over the coming days which will limit my ability to blog as much as I would like.